There are times in every sport when a new competitor enters with a mindset so different, so alien, that they change the very way it's played. These paradigm-shifting visionaries redefine their sport so thoroughly that it will never be the same again, and both current and future players must adapt to not get left behind. You needn't look hard for examples. Michael Jordan's explosive plays, show-stopping dunks and incisive runs changed basketball forever. Tiger Woods' athleticism, personality and ability to bring in sponsors pushed golf into a new era. Cristiano Ronaldo's obsessive focus on self-improvement and boundary-pushing continues to change the face of football. Formula 1 has had many of its own examples over the years. Senna, Schumacher, Clarke, Hill – they all helped shape the sport as it is today. 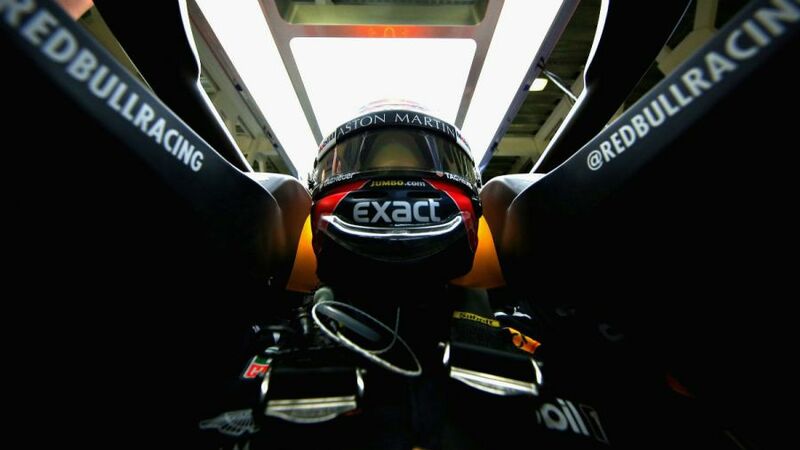 Those great names from the past can now be followed by one from its present – Max Verstappen. Having entered the sport as its youngest ever competitor at 17, Verstappen was immediately hailed as the first of a new breed. The first driver from the so-called 'PlayStation era' - the term for those who grew up and cut their teeth on consoles, simulators and, occasionally, the race track - he had unparalleled levels of practice and myriad opportunities to hone his racecraft before putting it into practice in real life. Where older generations had to learn in real-world scenarios with real-world consequences, he was able to practice everything about driving, about racing, about car setup, before doing it in real life. This fast-track to experience that drivers had never previously had access to allowed him a much faster path to the top than ever before, and saw him quickly make a name for himself in the pinnacle of motorsport. This wealth of experience was immediately evident in his robust and proactive driving style - not content to merely wait for opportunities to present themselves, he would make opportunities himself, launching - and completing - overtakes in places seasoned veterans had written off many years ago. Remember Blanchimont, anyone? The thing that made, and makes, Max so special is that he's a young driver, with a new take on the sport, going up against older drivers with pre-determined ideas on racing. This is clearly great for him when he's the only driver with this mindset, but what happens when he's up against a field of like-minded drivers, all out to make a name for themselves and all having grown up on the same diet of video games, simulators, and no consequences for big mistakes? Well, whilst a full field of wunderkids might be some years off, next year will offer a tantalising glimpse of what one will look like - and with it, what the future of Formula 1 will be. 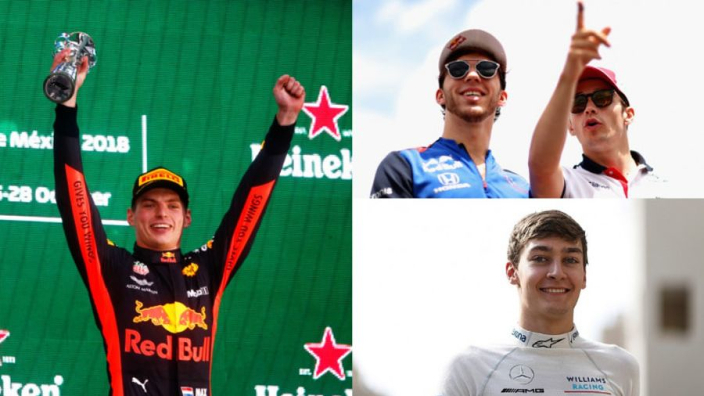 Four drivers of this new breed - Lando Norris, Antonio Giovinazzi, Alexander Albon and George Russell - enter the fray in 2019, accompanying relative newcomers Charles Leclerc, Lance Stroll and Pierre Gasly. While changing regulations in years past saw teams prefer to stick with experienced drivers who knew how to set up cars and had proven track records, the inevitable march to the future (and cars that will have less front downforce) is resulting in teams looking down, not sideways, for the future heroes. In short, the old guard is on the way out and the new one is on the way in. This is perhaps no more evident than in Ferrari's signing of Leclerc. Sixteen days Verstappen's junior, the Monegasque driver has arguably outperformed the controversial Dutchman in his short time in F1 - finding a seat with one of the top two teams after his debut season, and ousting former world champion Kimi Raikkonen to get it. 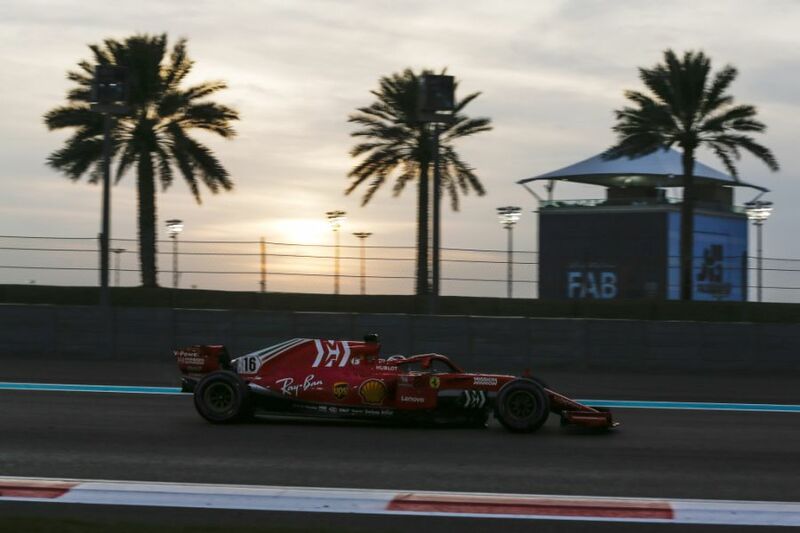 This isn't just a testament to his current skills as a driver, but a sign of Ferrari's faith in his future potential - even more so when you consider Ferrari's "reserved" approach to younger talent. Even Michael Schumacher had to wait four seasons to get a seat with the Scuderia, and we all know how well that went. Whilst Ferrari's lineup of two talented drivers would be fun to watch regardless, there's another angle to it. Leclerc's new team-mate, Sebastian Vettel, is 10 years his senior, and very much part of the old guard. We saw how much Vettel struggled against a younger teammate when Daniel Ricciardo joined Red Bull in 2014, and in no other team will there be as much of a new vs old dynamic. We know Vettel is one of the best drivers in the world, but how will he match up against a new, younger team-mate with momentum and expectation behind him? 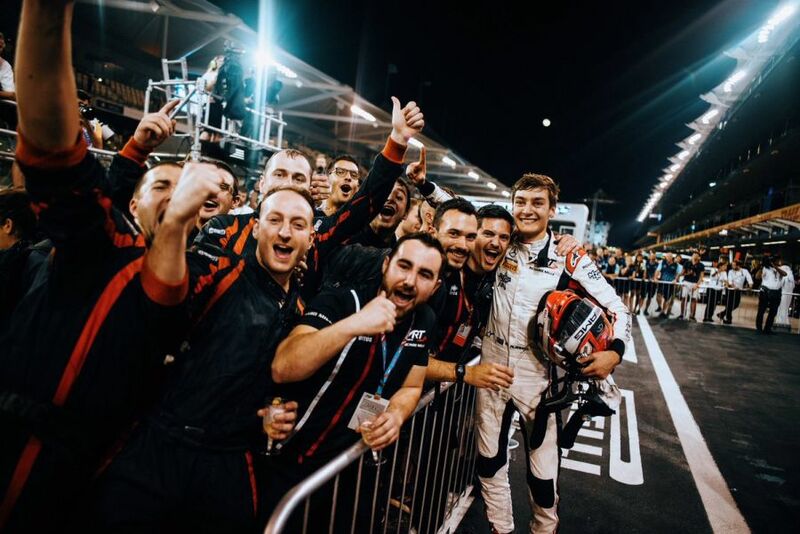 Leclerc's reputation preceded him thanks to GP3 and F2 titles in successive years – a standing Russell will bring with him next year. Although pace in the lower leagues doesn't necessarily equate to prowess in Formula 1, when a driver is good, they're good. Gasly finished fourth in his second race of his first full season. Verstappen took his first win in his second season. The young drivers are on the charge, and at the same time stalwarts like Fernando Alonso and Raikkonen are finding themselves leaving or falling to the smaller teams on the grid. All this means that whilst a field full of Verstappens may be some way off, half a field of Verstappens isn't even on the horizon - it's here. There will be teething problems. There will be crashes. There will be friction between older and younger drivers. There will be drama. But, in this, there will be incredible racecraft. There will be stunning overtakes. There will be brilliance. More than any other year in the last decade, 2019 will be a display of the talent we have to look forward to, the champions we'll be adoring in years to come, and how the sport will adapt to accommodate their tenacious driving styles. Added to this, the new regulations aimed at making overtaking easier will hopefully make racing much closer than it has been, and the sport will benefit because of it. Without a doubt, 2019 will be a big year - and a year you'd be mad to miss.